SALISBURY, N.C. — A board of commissioners in North Carolina has presented its prayer case to the U.S. Supreme Court, asking the nation’s highest court to hear its appeal of a Fourth Circuit ruling that declared that it was unconstitutional for prayers presented during the commission’s meetings to be exclusively Christian. “Thousands of legislative bodies with tens of thousands of members and millions of citizens across nine states are now subject to conflicting legal regimes regarding one of the nation’s oldest traditions,” the petition, filed by Alliance Defending Freedom (ADF) on behalf of the Rowan County Board of Commissioners, reads. It notes that while the full Fourth Circuit Court of Appeals ruled against the primarily Christian prayer practice in July, the full Sixth Circuit Court of Appeals ruled in a separate case last month that commissioners have a right to pray as they believe, even if that means that the entire board identifies as Christian. The ACLU consequently appealed to the full Fourth Circuit of 15 judges, which agreed to hear the case en banc. The court ruled 10-5 in July that while the commission may present prayers during public meetings, they cannot be exclusively Christian. However, ADF and the Rowan County Board believe that the ruling is flawed and is inconsistent with the U.S. Supreme Court’s Greece ruling. “In Town of Greece, the legislative prayer practice involved a rotating group of volunteer clergy from the surrounding community—and this court emphasized that while ‘nearly all of the congregations in town turned out to be Christian,’ that did ‘not reflect an aversion or bias on the part of town leaders against minority faiths,'” the board’s appeal, filed on Thursday, reads. “Rather, ‘[s]o long as the town maintains a policy of nondiscrimination, the Constitution does not require it to search beyond its borders for non-Christian prayer givers in an effort to achieve religious balancing,'” ADF wrote, quoting from the high court. As previously reported, contrary to the Fourth Circuit ruling, the Sixth Circuit Court of Appeals upheld last month the predominantly Christian prayers of the Jackson County Board of Commissioners, finding that they do not violate the Establishment Clause of the U.S. Constitution. It noted that “[s]ince the founding of our Republic, Congress, state legislatures, and many municipal bodies have commenced legislative sessions with a prayer,” and likewise pointed to the Greece ruling for support. 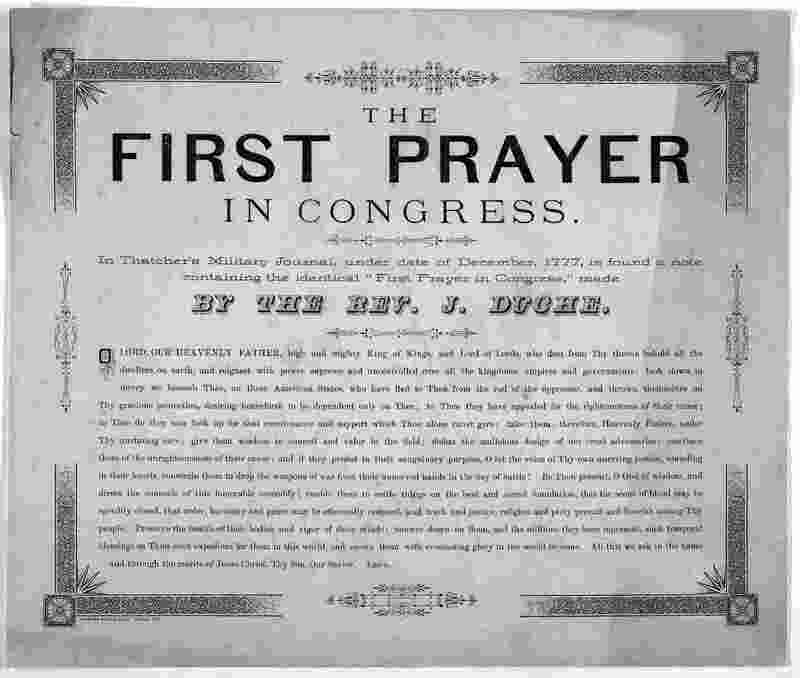 “As one of Jackson County’s commissioners stated, ‘Commissioners, as individuals, have a right to pray as we believe.’ Preventing Jackson County’s commissioners from giving prayers of their own choosing detracts from their ability to take ‘a moment of prayer or quiet reflection [to] set their mind to a higher purpose and thereby ease the task of governing,’” it declared.